It is time for Andrés Iniesta’s final game in an FC Barcelona shirt. After the Club’s official farewell event at the Camp Nou on Friday, the moment has arrived to say goodbye to the fans. Barça’s number ‘8’ will experience a very special day against Real Sociedad at 8.45pm CEST. 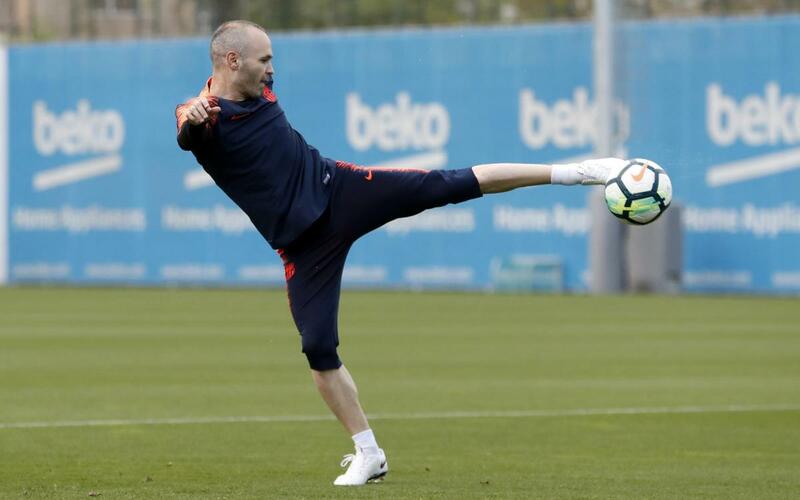 Ernesto Valverde has called up the following eighteen players: Ter Stegen, Cillessen, N. Semedo, Piqué, I. Rakitic, Sergio, Denis Suárez, A. Iniesta, Suárez, Messi, O. Dembélé, Coutinho, Paco Alcácer, Jordi Alba, Digne, André Gomes, Umtiti, Aleix Vidal, and Yerry Mina. The available first team players exercised at the Tito Vilanova pitch, in a session which saw Umtiti return to training. Carles Aleñá, from Barça B, also took part.